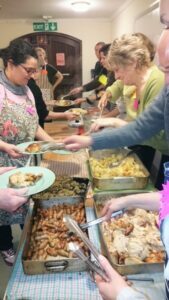 Each month All Saints Church provide a wonderful hot Sunday lunch to people who sleep rough or are vulnerably housed in Brighton and Hove through our homeless meal. 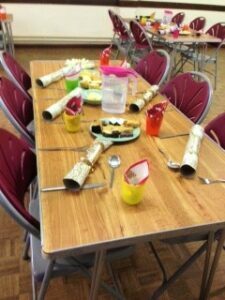 They feed about 60 people each month, sometimes more and whilst providing a good quality hot meal and hot drinks it also gives people a chance to take it easy and relax. They have a team of volunteers set up, cook the meal, and serve the guests who make this fantastic project possible. ‘We could not do this without the support of FareShare Sussex – the high quality food they supply has made all the difference to us and without them we would not have been able to afford to do this. They are so helpful, so efficient and save us so much money! 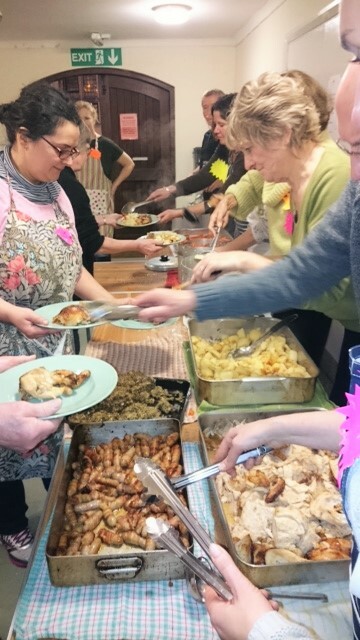 All Saints lunch offers food and comfort to those who feel excluded or on the periphery of society to improve the wellbeing of those truly in need so FareShare Sussex are proud to support this project with our food donations.